* Length: Generally articles run between 5,000 and 8,000 words, although we will consider both shorter and longer articles with compelling content. Book reviews, speech transcriptions, and other less formal materials are generally between 1,000 to 3,000 words. * Language: We welcome submissions in both Chinese and English. 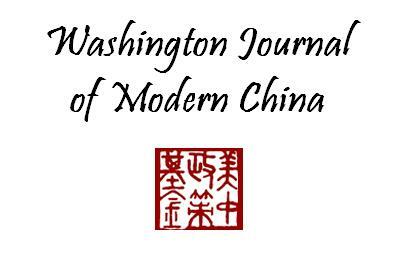 Articles submitted in Chinese will be translated into English by WJMC staff, and the translation will be returned to the author for review prior to publication. * Citations: We recommend that contributors use Chicago-style citations but we do not require a bibliography. * Abstract: It is not necessary to provide an abstract. * Author information: We include a short bio of each author at the beginning of the journal, which can be anywhere from 1-2 sentences to a paragraph long depending on the author’s preference. * Chinese terms: We ask that all Chinese terms use the pinyin romanization (tone marks are not necessary). Exceptions include people and place names commonly known through the Wade-Giles or other system of romanization (eg Ma Ying-jeou, Taipei, Sun Yat-sen, Hong Kong). We encourage but do not require the use of Chinese characters when introducing Chinese words or phrases. For more information, please contact the WJMC editorial staff at wjmc@uscpf.org.